Global health academic researchers, practitioners, and policy makers will gather in Geneva, Switzerland on 14 June to discuss critical questions around quality of care and its measurement. 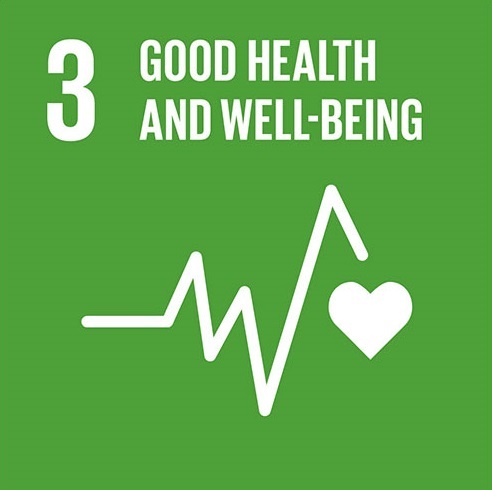 The seminar will serve as a launch event for the WHO Bulletin theme issue on quality of care in the era of the Sustainable Development Goals (SDGs). The papers of the theme issue provide a glimpse into the current landscape of quality of care research in low- and middle-income countries. They make a strong case for investing in more and better data on health system quality, an area where countries must lead but where development partners can also add critical value through the production of public goods as well as data collection tools and technologies. Read the special issue, available on open access, here. The video of the Policy seminar is available here. See the photographs of the event here. 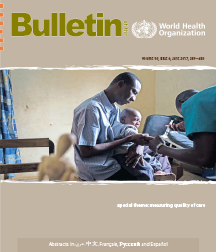 The Bulletin is one of the world’s leading public health journals and at the same time unique in its affiliation with WHO and the UN system. The journal’s special focus on developing countries combined with its rigorous peer-review process ensures that the papers published under the theme issue are of high standard and of relevance. The theme issue being launched at this event will include original research articles on quality of care in low- and middle-income countries. The research explores specifically two themes: the measurement of health-care quality and associations between quality improvement measures and health outcomes. Kidist Bartolomeos is an editor at the WHO Bulletin. She has a BA in Biostatistics from University of Minnesota and an MPH from Emory University. Before joining the Journal’s editorial team in 2016, for 16 years, she worked at WHO, as a technical expert in the area of Injury and Violence Prevention. Guadalupe Bedoya is an Economist in the Development Impact Evaluation team (DIME) at the World Bank's Research Group. Her interests include the design of accountability and measurement systems to improve patient safety and quality of care in poor-resource contexts. Claudia Hanson is Associate Professor in health systems research at Karolinska Institutet, Sweden. Hanson's research interest lies in health system research on how to best organise and design care structures to support quality of maternal, reproductive and newborn health care. Margaret E. Kruk is Associate Professor of Global Health at the Harvard T.H. Chan School of Public Health. Kruk’s research generates evidence for improved health system quality and responsiveness in low- and middle-income countries. She is interested in the intersection of user expectations and health system performance. Barbara Madaj is a trained economist and sociologist. Since joining the Centre for Maternal and Newborn Health at the Liverpool School of Tropical Medicine in 2011, her area of focus has been the monitoring and evaluation of programmes in maternal and newborn health. Gaurav Sharma is a public health physician from Nepal with more than 13 years of clinical, research and programmatic experience in reproductive, maternal and newborn health. He has worked in many low-resource settings and is particularly interested in improving quality of care for maternal and newborn health. Shams Syed currently coordinates the WHO Unit on UHC and quality, which was formed in October 2015, within the WHO Department of Service Delivery and Safety. Syed played a pivotal role in the work of WHO in Ebola affected countries as the technical lead for early recovery at WHO headquarters. Finn Tarp has some 39 years of experience in academic and applied development economics research and teaching. His field experience covers more than 20 years of in-country work in 35 countries across Africa and the developing world more generally. He is the Director of UNU-WIDER since 2009 and also Professor of Development Economics at the University of Copenhagen.